The Village of Waterloo Police Department reports that on February 1st, 2019 at 10:21pm, officers arrested Mark M. Mazzoli, 55, of 8 S. Walnut St in the Village of Waterloo. Mazzoli was charged with one count of Aggravated Criminal Contempt. 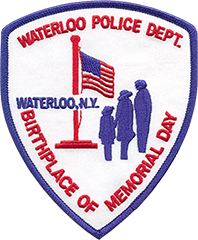 The arrest stems from an investigation into a dispute on Oak St in the Village of Waterloo, where Mazzoli was in violation of an active Class A order of protection. Mazzoli was committed to the Seneca County Correctional Facility to await Centralized Arraignment.